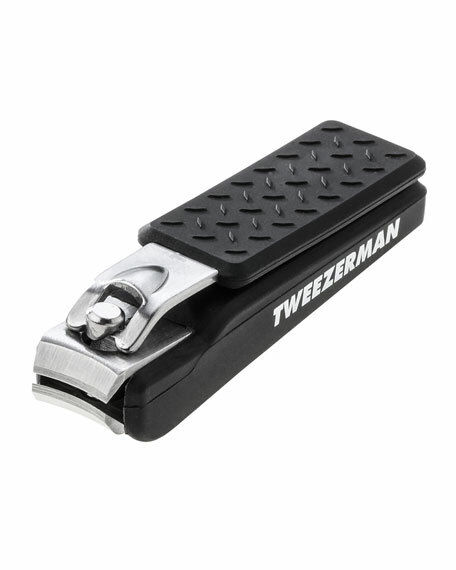 This innovative, sleekly designed Tweezerman tool is highly stylish and highly functional. 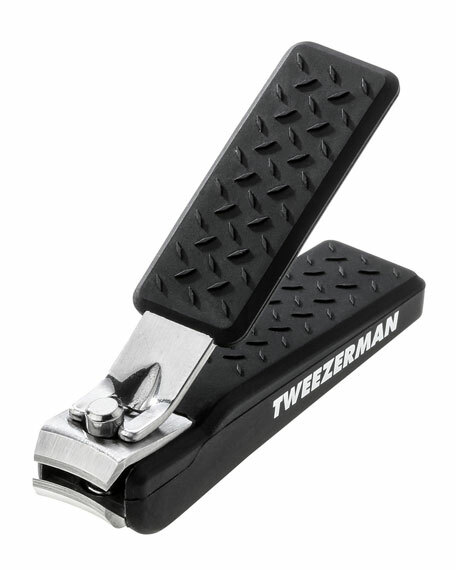 Sharp, specially curved blades clip fingernails with ultra precision. Case catches clippings for easy clean up. Side slides open to empty after use. Textured handle for no-slip grip and maximum comfort. Stainless Steel. Features an ultra-sharp, slightly curved cutting edge that uses the force of the lever to achieve a precise clean cut every time. Creative design includes a convenient nail catching component. Simply lift clipper slightly from holder and shake out clippings.